5G moves one big step closer to being realised following unveiling of first rules. 5G networks are a major step closer to coming to fruition following the first set of official regulations governing the technology. The 5G NR standard is the first ever 5G specification to be officially signed off by the 3GPP, the body governing cellular standards. This 5G specification covers a wide range of spectrum, from 600 MHz bands to 50 GHz ones. The standard was signed off during the Radio Access Network (RAN) meeting which took place in Lisbon, Portugal. Among the companies that gave their backing to the start of full-scale development of 5G NR were the likes of Huawei, Ericsson, Intel, Nokia, Samsung, AT&T, BT, China Mobile, Deutsche Telekom, NTT DoCoMo, Orange, Qualcomm, SK Telecom, Telefonica, T-Mobile USA, Verizon, Vodafone, and ZTE. "Today the 3GPP TSG RAN Plenary Meeting in Lisbon successfully completed the first implementable 5G New Radio (NR) specification," the companies said in a joint media release. 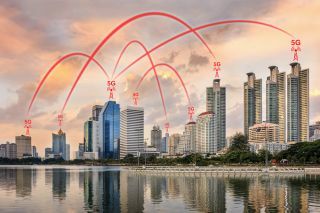 "This standard completion is an essential milestone to enable cost-effective and full-scale development of 5G NR, which will greatly enhance the capabilities of 3GPP systems, as well as facilitate the creation of vertical market opportunities." The next stop is the 3GPP meeting in Australia, scheduled to take place in September 2018. There, 5G standards should be given the final approval with a vote.